Sheep Heads at the Swan Restaurant at the Globe Theatre, London. 2016. Bridgewater Cats, zinnia pattern, 2012. Available in Emma Bridgewater shops. Bridgewater Dogs 2011. Three pairs of Staffordshire figures in collaboration with Emma Bridgewater. Iron Heifer 2002, Acton Court, Iron Acton, Bristol. 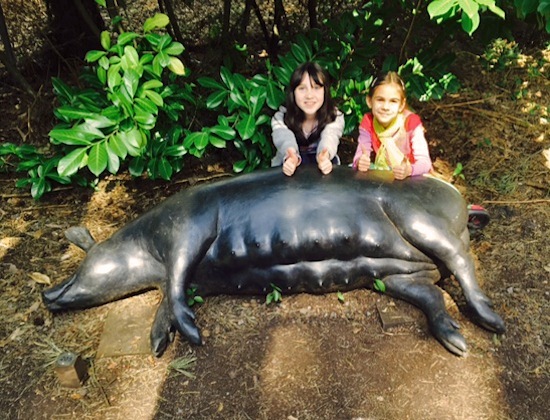 Black Sow and Iron Stag at the Sculpture Park, Farnham, Surrey.